Throughout my childhood we owned a Doberman, German shepherd, Border collie and a Cross of all kinds, this ultimately led me to a career working with dogs and cats. 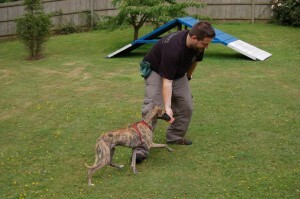 One of my first positions was volunteering for a local rescue centre, walking dogs and assisting with basic training. After a year of volunteering I took a full time position at Battersea Dogs & Cats Home as an Animal Welfare Assistant. During my time at Battersea I gained hands-on experience in many areas including feeding, cleaning, providing basic training and enriching the lives of the animals in my care. Working as an Animal Welfare Assistant made me realise how much I loved training dogs. In 2006 I followed my passion and joined the Behaviour team at Battersea, focusing on temperament assessing, problem behaviour consultations and behaviour modification. I have worked with animals for over a decade now and in that time I have worked with a wide range of dogs and cats varying in age, breed and temperament. I am an Animal Behaviour & Training Council (ABTC) Registered Animal Training Instructor and have been a fully qualified Puppy School tutor since 2010 (www.puppyschool.co.uk). From leaving school I attended Hadlow Animal College where I gained diplomas in animal management and kennel & cattery management. Since completing college I have worked with wildlife in a rehabilitation centre as well as working with domestic pets in a pet shop and grooming parlour. I began working at Battersea Dogs and Cats Home in 2006 as a kennel assistant, managing 25+ dogs daily and ensuring the highest standards of animal welfare. 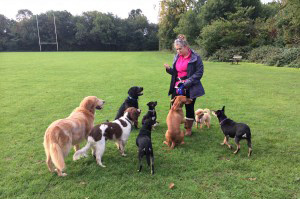 As my handling skills improved I became an assessor, testing dogs temperaments to ensure that they were placed in the correct homes with the right families. During my time at Battersea I was and still am a trusted and highly experienced foster carer, I have cared for many animals including a large number of hand-rears who had been separated from their mothers to soon as well as many dogs who were struggling in the kennel environment. I have an excellent understanding of what is required to care for pets to an exceptional level and always strive to achieve the highest standard of care possible.